Tell the truth but tell it slant, writes Emily Dickinson. For this issue, we’re looking for telling retelling of the historic, tales that offer what wasn’t said but should’ve been, what wasn’t written down but likely happened, whose voices speak that didn’t speak because there wasn’t a platform for them. 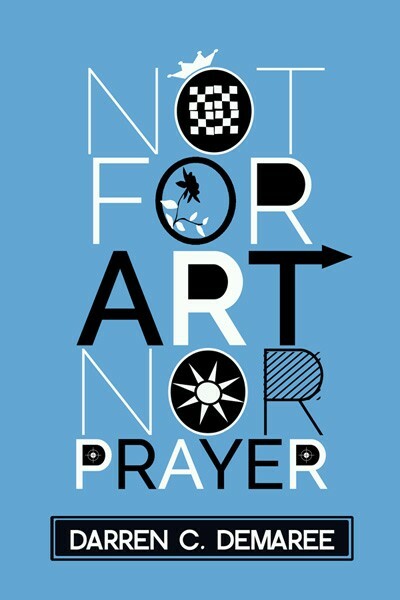 We want poetry, prose, and nonfiction, music, art, collaborations, and hybrid. 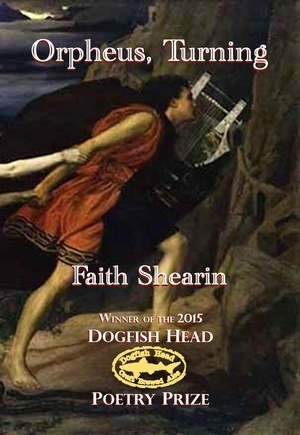 We want myths and legends retold from other voices, new perspectives, counter intuitive stances. 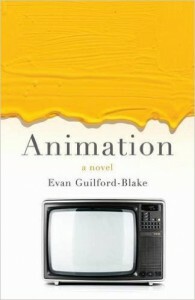 Accurate, inaccurate, or close, we want work that explores how facts become transformed into the tales, histories, and family stories that inform how we tell our worlds. Submissions due 9/19/15. 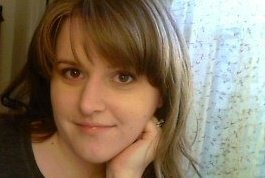 Guest Editor Laura Madeline Wiseman. Issue live 10/31/15. 3) New collaborative work only. This means all submissions must be created by 2+ people. 4) Submit 1-3 pieces in a single email. Each piece may have a different collaborative team. 5) All submissions must include a literary component but may include or be paired with a visual or audio component. 6) This is not prompt based – so there are no form nor subject guidelines. All submissions will also be considered for normal publication. 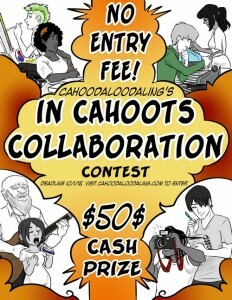 View special submission guidelines for In Cahoots. Writers spend a lot of time writing, and writing about writing. What are your other creative pursuits? Artists spend a lot of time writing about their work. How? 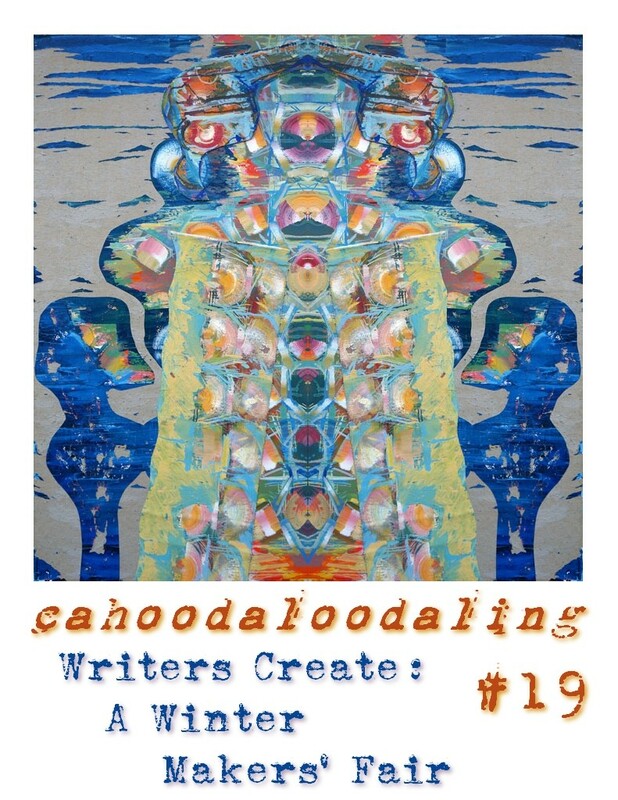 This special issue of cahoodaloodaling is interested in the intersection of art and writing—writers who create in other forms, and artists who write. We want craft essays and interviews about what your art means to you as a maker or how your art impacts your writing, or the ways you find yourself writing about your art; tutorials for others to follow, to engage in your craft; photographs of your creations with brief descriptions and creation stories; stories or poems about the art of making; any combination of the above. Submissions due 12/12/15. Guest Editor M. Mack. Issue live 1/31/16. We are actively seeking cover and feature art for future issues. Please review our submission guidelines before submitting. 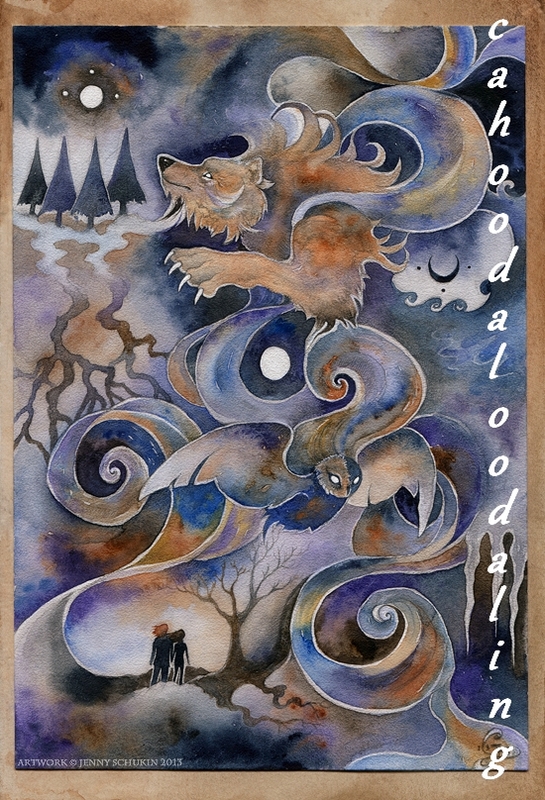 This entry was posted in Prompt and tagged calls for submissions, Contest, Historical (Re)Tell, Laura Madeline Wiseman, M. Mack, submission callsIn Cahoots, Writers Create: A Winter Makers’ Fair on August 4, 2015 by Raquel Thorne.